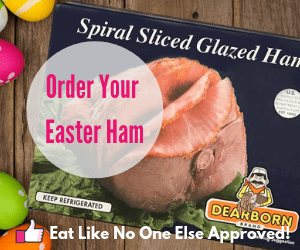 For more of what on shopping at Costco including whenever I post a new Costco Food Finds (the best products I am finding at Costco), sign up for my email udates below. 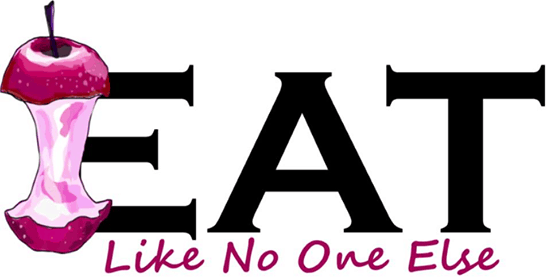 Here at Eat Like No One Else, we like to give you all the information you need on selecting your turkey for the big meal. I have found that a lot of people are curious what Costco offers in the way of birds. Most people probably don’t want to walk into a Costco just to see what the selection is like. That’s what I am here for. I just walked into Costco today, to get you the scoop on what they have available this year. For this post I decided to answer all the questions I have been getting about Costco turkeys over the past couple weeks. Hopefully anything and everything you wanted to know is covered here. Happy Thanksgiving! 1. Does Costco sell turkeys? Of course. Got a membership, you can get a turkey. 2. What are the prices of turkeys at Costco? 3. Does Costco sell fresh turkeys? Yes, the only turkeys I found on my trip to Costco were fresh – same as my experience last year. 4. 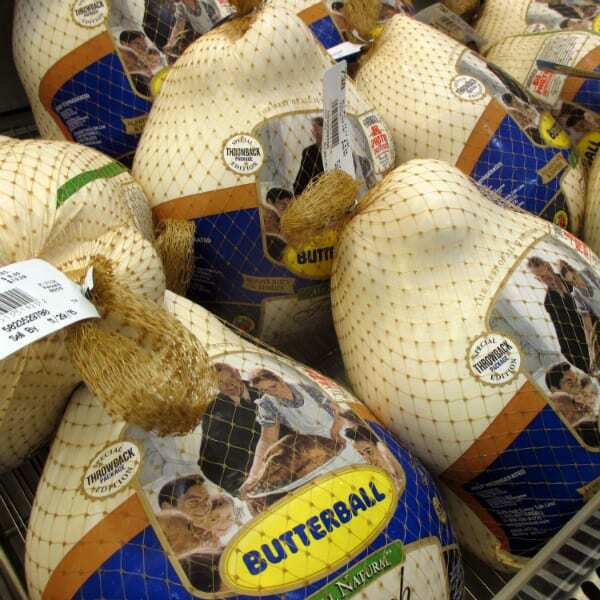 Does Costco sell Butterball turkeys? 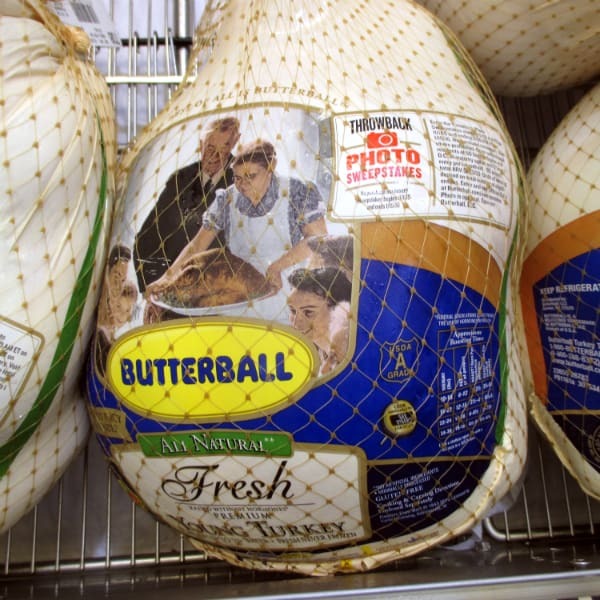 Yes you can get a Butterball turkey that is fresh for 99 cents per pound. The packaging this year features that classic picture by Norman Rockwell. Butterball is encouraging you to share your Thanksgiving memories through a photo contest in which you could win a $1000 prepaid Visa giftcard (see details at Butterball’s website). 5. Does Costco sell brined turkeys? The turkeys I found this year were no pre-brined at all. I prefer to brine it myself, using Alton Brown’s dry brine method. 6. How far in advance can you buy a fresh turkey at Costco? Turkey are available now. I went there first on Tuesday, November 10th and they didn’t have any turkeys yet, but by Tuesday, November 17th they had them in stock. In future years you probably can get your turkey starting about 12 to 14 days before Thanksgiving. 7. Are Costco fresh turkeys frozen? A fresh turkey, frozen? Any turkey that is called fresh can never been frozen. They don’t take frozen turkeys and just defrost them for you. If a fresh turkey still feels hard to the touch that is because for a turkey can be considered fresh even if it’s temperature is as low as 26 degrees. Turkey meat doesn’t freeze at the same temperature as water, so a 26 degree turkey is still not considered frozen. 8. Does Costco have Diestel turkeys this year? 9. Does Costco sell natural turkeys? Natural is a word that is not defined by anyone expect whoever is using it. If you are wondering, the turkeys available at Costco are grown without the use of hormones and don’t contain any additional seasoning. 10. Does Costco sell heritage turkeys? No, didn’t see any this year. 11. Does Costco carry organic turkeys? Yes from Foster Farms, going for $2.99/pound. These have been certified organic by the USDA. 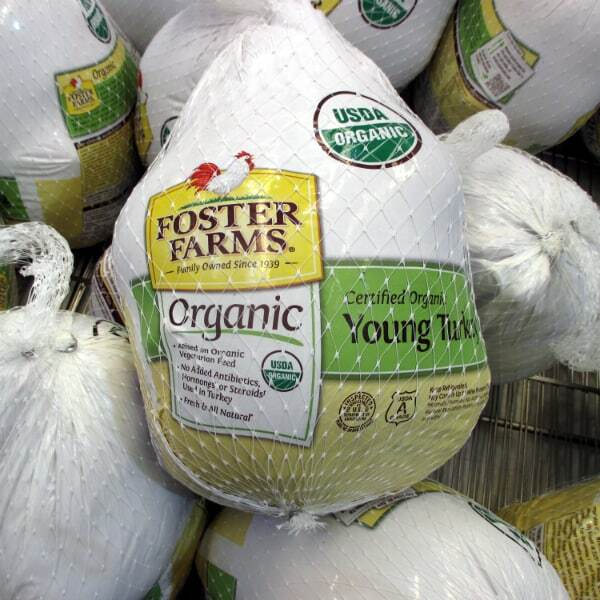 This also means that these turkeys are non-GMO as to be certified organic a turkey cannot be feed genetically modified feed. 12. What size turkeys does Costco have? They have both “hen” turkeys that weight around 10 to 16 pounds (14 pound range is the most likely you will find) and “tom” turkeys which is anything over 16 pounds. 22 pound turkeys are around the biggest you’ll find. 13. Is there a shortage of turkeys at Costco this year? There was concern that there would not be enough turkeys this year because of an outbreak of bird flu. I have seen no signs of that whatsoever. The only impact at the store that I have witness is the price of eggs skyrocketing. Have you found any other types of turkeys at Costco this year? Share your experiences in the comment section below? Last year was my first fresh turkey from Costco. It was Amazingly Delicious. It was one of the best turkeys I ever made. I’ve been making Thanksgiving Dinner for over 35 years. Wow, that is great to hear! 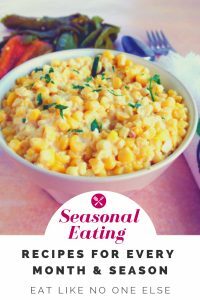 How do you like to cook and season your turkey?